It is hard to believe that Alan Alda, the star of "Mash" and countless movie and television appearances is now 75. Alda was born Alphonso Joseph D'Abruzzo in The Bronx, New York City on January 28, 1936. His father, Robert Alda (born Alphonso Giovanni Roberto D'Abruzzo), was an actor and singer, and his mother, Joan Brown, was a former Miss New York. Alda is of Italian and Irish descent. His adopted surname, "Alda," is a portmanteau of ALphonso and D'Abruzzo. When Alda was seven years old, he contracted Poliomyelitis. To combat the disease, his parents administered a painful treatment regimen developed by Sister Elizabeth Kenny that consisted of applying hot woolen blankets to his limbs and stretching his muscles. This allowed him to recover from most effects of the disease. Later, Alda attended Archbishop Stepinac High School in White Plains, New York. In 1956, he received his Bachelor of Science degree in English from Fordham College of Fordham University in the Bronx, where he was a student staff member of its FM radio station, WFUV. During his junior year, he studied in Paris, acted in a play in Rome and performed with his father on television in Amsterdam. After graduation, he joined the U.S. Army Reserve and served a six-month tour of duty as a gunnery officer. Alda began his career in the 1950s as a member of the Compass Players comedy revue. In 1966, he starred in the musical The Apple Tree on Broadway; he was nominated for the Tony Award as Best Actor in a Musical for that role. Alda made his Hollywood acting debut as a supporting player in Gone are the Days! – a film version of the highly successful Broadway play Purlie Victorious, which co-starred veteran actors Ruby Dee and her husband Ossie Davis. Other film roles would follow, such as his portrayal of author, humorist, and actor George Plimpton in the film Paper Lion (1968) as well as The Extraordinary Seaman (1969) and the occult-murder-suspense thriller The Mephisto Waltz, with actress Jacqueline Bisset. During this time, Alda frequently appeared as a panelist on the 1968 revival of What's My Line?. He also appeared as a panelist on I've Got a Secret during its 1972 syndication revival. His greatest role came as Hawkeye Pierce on "Mash" on television from 1972 to 1983. 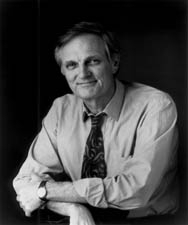 Alda has also played Nobel Prize-winning physicist Richard Feynman in the play QED, which has only one other character. Although Peter Parnell wrote the play, Alda both produced and inspired it. Alda has also appeared frequently in the films of Woody Allen, and he was a guest star five times on ER, playing Dr. Kerry Weaver's mentor, Gabriel Lawrence. During the later episodes, it was revealed that Dr. Lawrence was suffering from the early stages of Alzheimer's disease. Alda also had a co-starring role as Dr. Robert Gallo in the 1993 TV movie And the Band Played On. 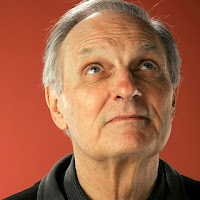 During M*A*S*H's run and continuing through the 1980s, Alda embarked on a successful career as a writer and director, with the ensemble dramedy The Four Seasons being perhaps his most notable hit. Betsy's Wedding is his last directing credit to date. After M*A*S*H, Alda took on a series of roles that either parodied or directly contradicted his "nice guy" image. His role as a pompous celebrity television producer in Crimes and Misdemeanors was widely seen as a self-parody, although Alda denied this. Throughout his career, Alda has received 31 Emmy Award nominations and two Tony Award nominations, and has won seven People's Choice Awards, six Golden Globe Awards, and three Directors Guild of America awards. However, it was not until 2004, after a long distinguished acting career, that Alda received his first Academy Award nomination, for his role in The Aviator. Alda also wrote several of the stories and poems that appeared in Marlo Thomas's Free to Be... You and Me television show. Alda starred in the original Broadway production of the play Art, which opened on March 1, 1998, at the Bernard B. Jacobs Theatre. The play won the Tony Award for best original play. Alda also had a part in the 2000 romantic comedy, "What Women Want".